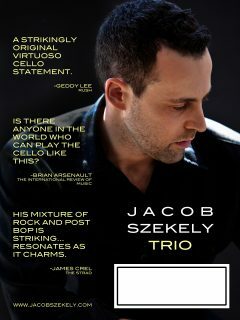 Strings Magazine has hailed Szekely as “One of the leaders in the Creative String Community.” And Berklee cello professor and multiple Grammy winner Eugene Friesen has declared Jacob’s playing to be to be “The first time a cellist has made the case as a leader in modern jazz!” In 2013 Jacob founded the Jacob Szekely Trio and released their debut EP which was hailed by critics from the Strad, Strings Magazine, International musician, The LA Weekly and artists from Yo-Yo Ma, to Rush Bassist Geddy Lee as a “quantum leap forward” in pushing the boundaries of the instrument. 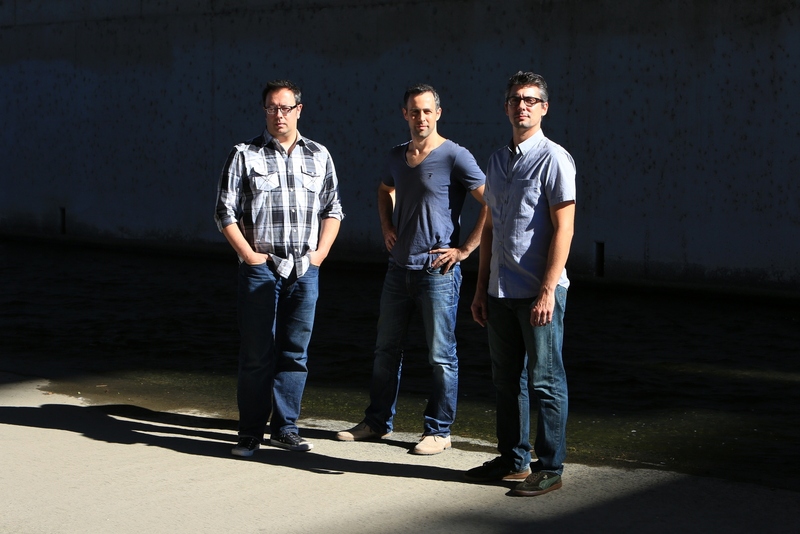 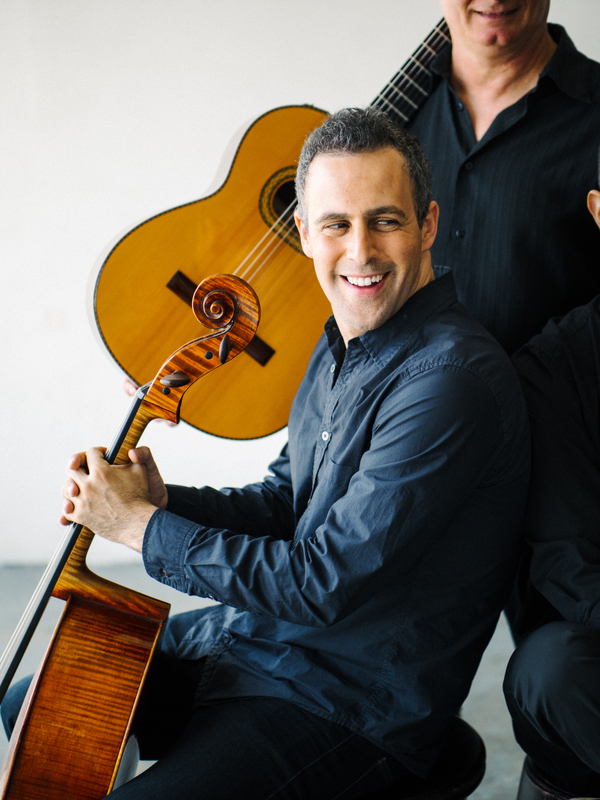 In 2015 Jacob’s trio released their debut album which made several year end top ten lists for JazzEd, International Review of Music and several others. 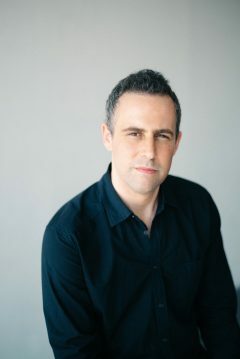 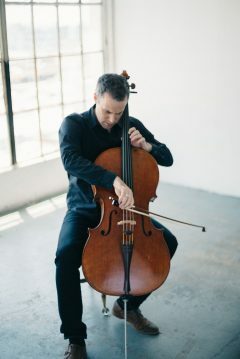 Mr. Szekely is also in great demand as a sideman and session player in Los Angeles having appeared in hundreds of commercials, television shows and movie scores. 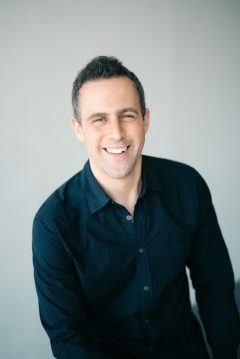 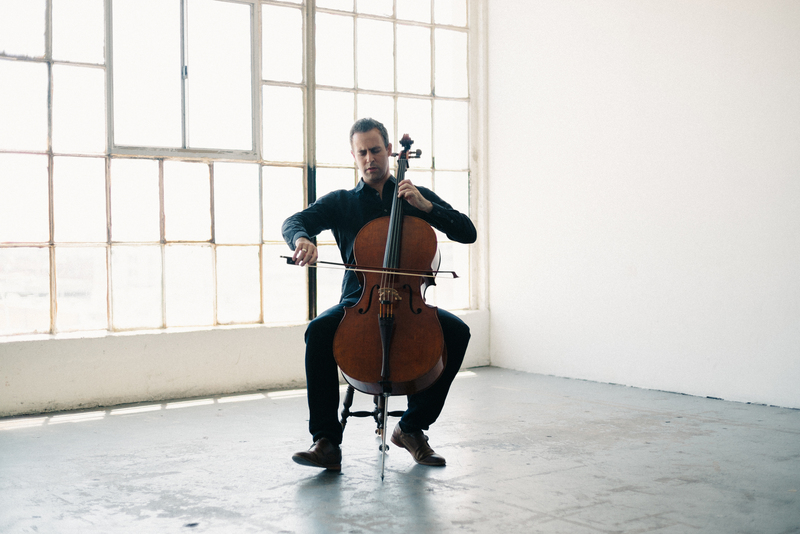 Jacob has been a featured performer or solo cellist with such popular artists as Mary J Blige, Jay Z, Ellie Goulding, Avril Lavigne and Rush and on such Television shows as Battlestar Galactica, The Walking Dead, and The Sarah Connor Chronicles to name a few. 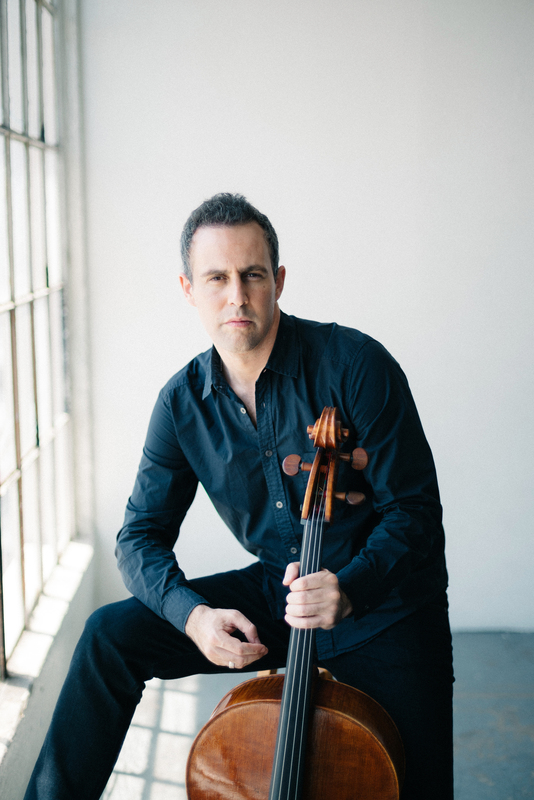 In addition to his busy schedule as a performer, Mr. Szekely is also active as a composer and arranger and has collaborated with a wide range of artists and ensembles from string quartets and world music groups to commissions for chamber orchestra and children’s choir. 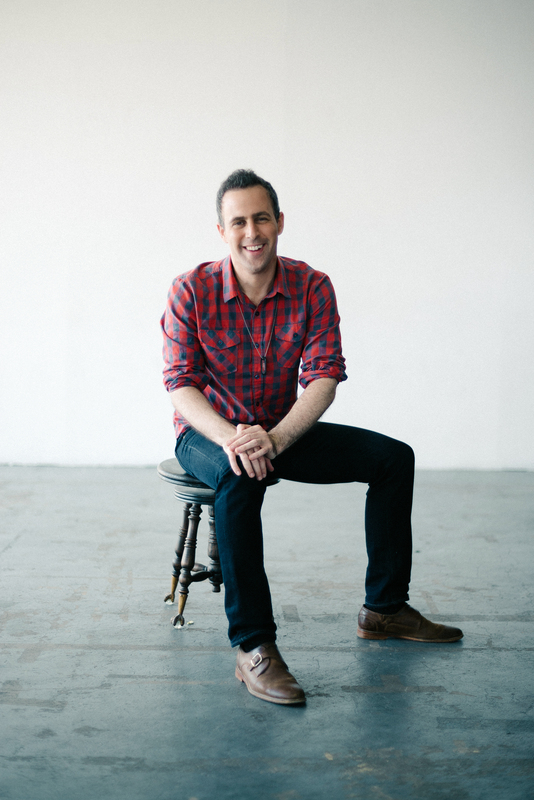 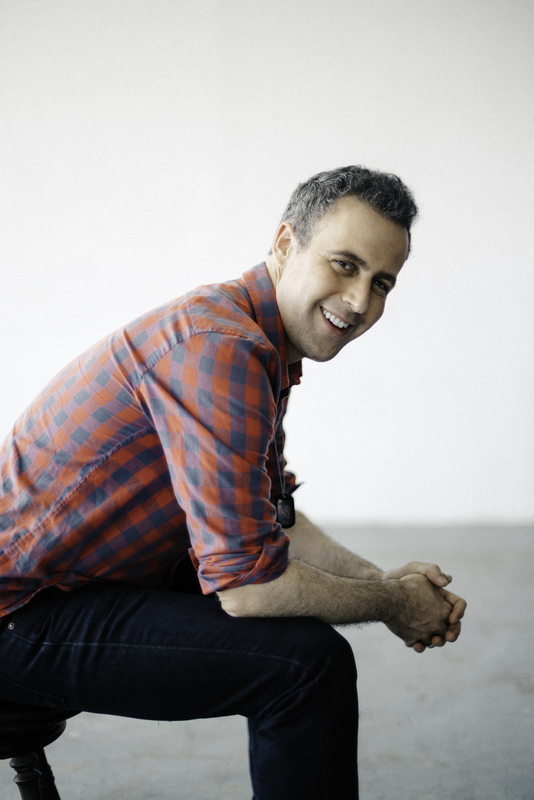 In 2007, Jacob expanded his role as musical ambassador through the co founding and artistic directorship of String Project Los Angeles, a music school and resource for the alternative string playing community throughout the world located in Venice California named by Strings Magazine as “One of the top 10 reasons to study music in Los Angeles” and by Jazz violinist and Downbeat poll winner Christian Howes as “A model for all string teachers in America.” In addition to String Project Los Angeles, Jacob has also conducted residencies and master classes across the united states at UCLA, Cal Arts, The Berklee School of Music, Oklahoma State University, Georgia State University, The University of Southern California, Ithaca College and The American String Teachers Association’s national conference to name a few and is founder and Artistic Director of the Annual Los Angeles Creative String Festival (now in it’s fourth year). Jacob has also served on the summer faculty of numerous festivals including The New Directions In Cello Festival and Christian Howes’ Creative Strings Workshop with whom he coauthored an article in the July 2012 issue of The Strad advising string teachers on how to approach improvisation. 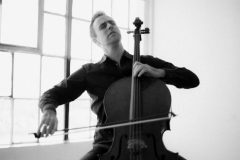 In 2013, Jacob launched The Improvisor’s Guide to the cello… The first ever comprehensive video learning series designed to address the unique challenges classically trained cellists face when approaching creative string playing. In August 2015, Jacob introduced The Improvisor’s Guide To The Cello Academy: the first ever online interactive online community for creative cellists. 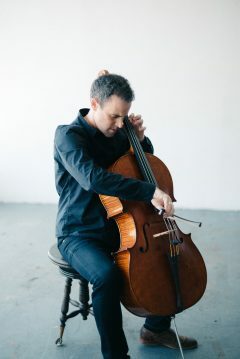 Jacob is a Steinberger and Danish Professional Audio artist, a Yamaha Clinician, and performs on his five string Steinberger Electric Cello as well as several 4 and 5 string acoustic cellos. 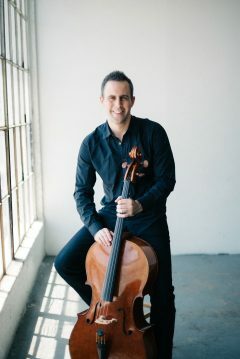 In August 2015 Szekely released the ThePickupTest.com which represents a new online global resource for amplified string players featuring tutorials, tabletop reviews and the first ever comprehensive sound library of every pickup on the market for Violin, Viola, and Cello. 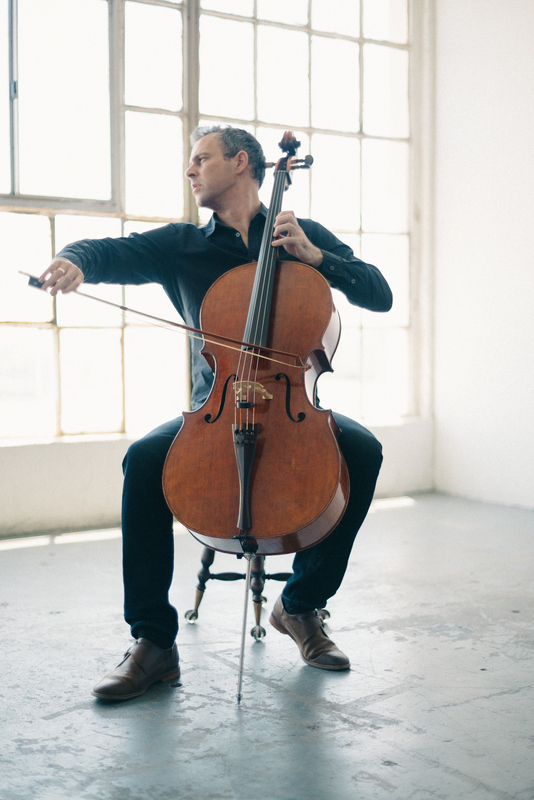 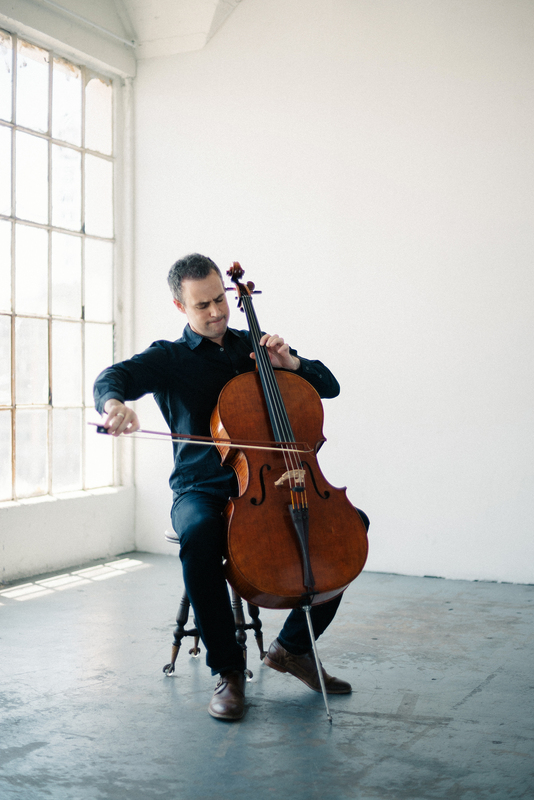 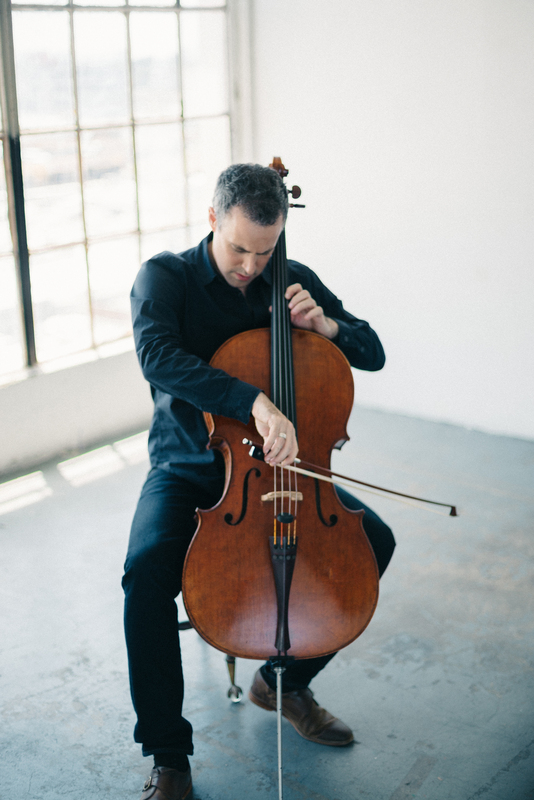 “This is the first time that I have heard a cellist make a convincing case as a soloist in a modern jazz context,” says Eugene Friesen, Grammy Award winning cellist and Berklee professor. 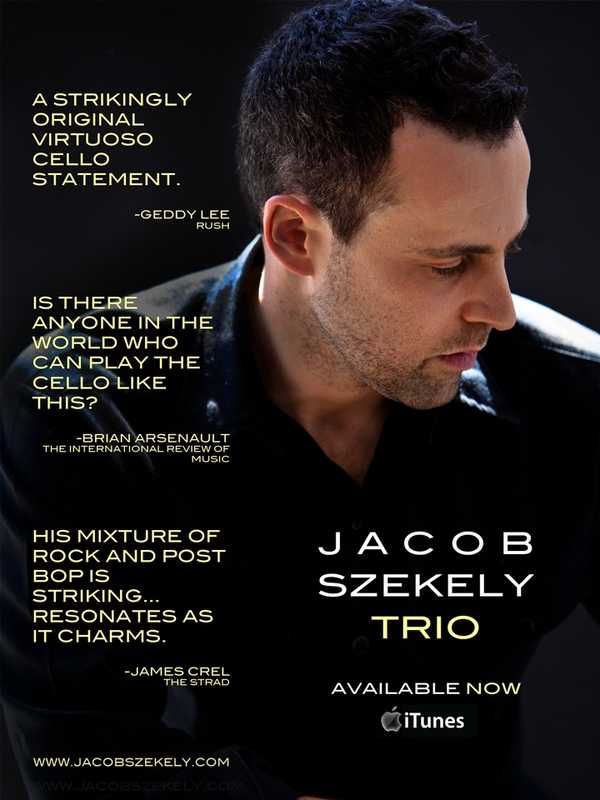 In his first outing as a leader, Jacob Szekely has created an album that is truly revolutionary, definitively expanding the sonic culture of the cello into the world of Contemporary Jazz. With influences that range from classical/jazz/funk/rock and even Indian, the music is highly complex, rhythmically and harmonically, while always grooving and with an unfailing sense of melody. 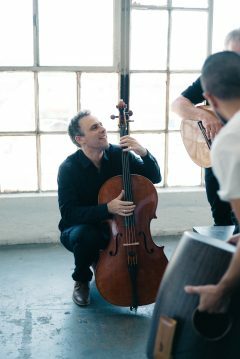 Jacob explains the genesis of the trio: “As a studio musician and sideman here in Los Angeles, I’ve spent so much of my professional life trying to sound like other musicians, and in a way trying to prove what my instrument was capable of… I finally decided the time had come to ask myself who I am and what I really sound like, and then spent a year digging really deep, trying to figure that out. This year long path of discovery led to a complete reimagining of the possibilities of the instrument for Szekely, from the compositions, to the development of a real improvisational language on the cello, to the unique sound of trio itself. The Album begins with 300 years, a soulful meditation on time and the infinite. 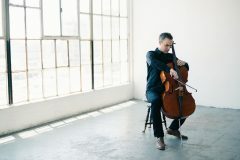 The track is an excellent example of Szekely’s style, which tends to favor the through-composition and an over-arching narrative structure of classical music, combined with contemporary jazz harmony and syncopated grooves, often in mixed meters. In a similar fashion, the enigmatic Morning Rush touches on elements of jazz, metal, Indian, (listen to Jacob’s dramatic solo,) and culminates in a fugue contrapuntally blending all the previous themes of the piece. 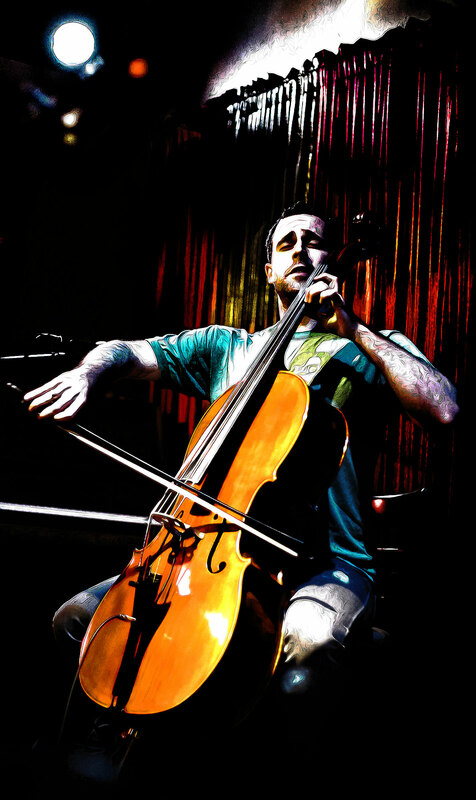 If I turn into another, dig me out from under what is covering the better part of me. 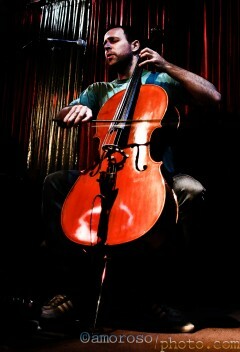 Sing this song; remind me that we’ll always have each other, when everything else is gone. 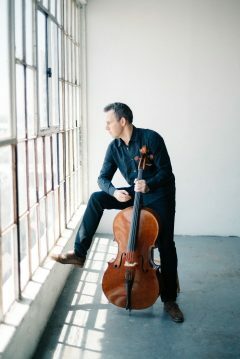 “Those lyrics haunted me throughout the loss of my friend, and the gaining someone who would eventually become my wife.” In Szekely’s capable hands, Dig is completely transfigured into a music that is deeply complex and highly personal, yet emotionally authentic and accessible at its core. 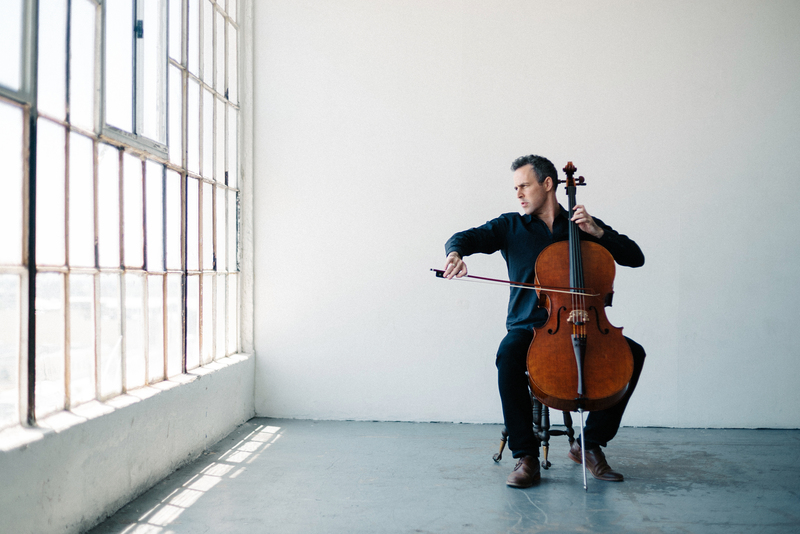 Beneath a soaring cello solo, the original harmony of the song returns only at the end of Szekely’s arrangement, bringing the listener to an triumphant climax. Szekely’s wife also gets her name in the track listing. 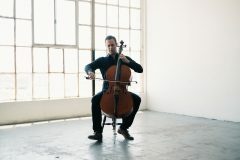 Diana’s Lullaby is the only solo piece on the record, and it features Jacob on a 5-string electric cello. “I usually write at the keyboard; this is the first composition that I’ve ever written on the cello itself.” Says Jacob: “I don’t know of any previous compositions for this instrument, and it was fun approaching the possibilities of such a blank canvas.” Living in a sound world all its own, Szekely utilizes finger-tapping and strumming, techniques borrowed from the electric bass lexicon, bringing them to new life on the cello. 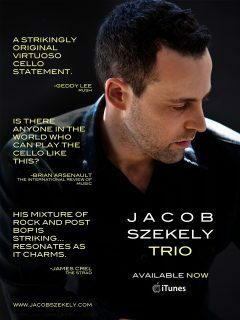 “Jacob has produced an emotive, innovative and thoroughly modern fusion of musical styles … A strikingly original virtuoso cello statement…. 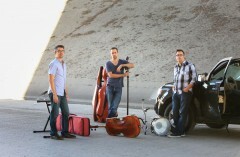 Beautifully performed and uniquely arranged.” – Geddy Lee. 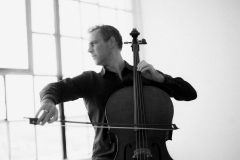 “A virtuoso who places as much emphasis on the forms he’s created, as his transformative cello solos. 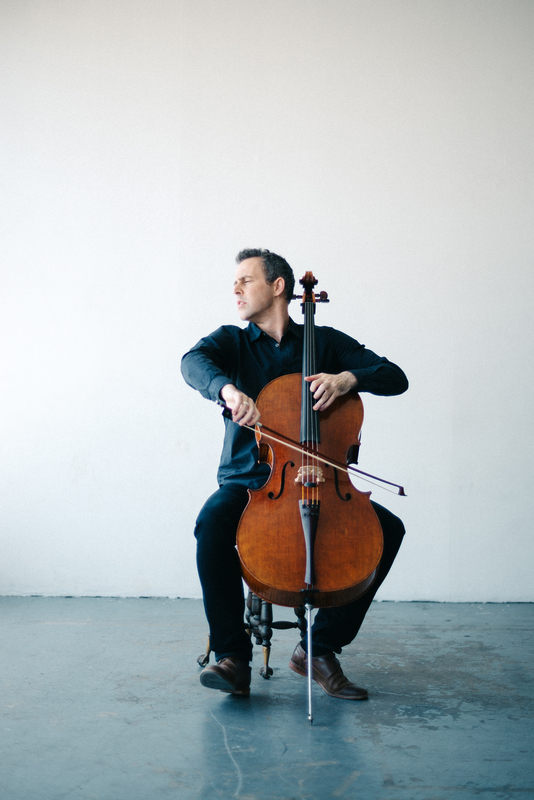 Szekely can soar lyrically on an arco passage that would make for a thrilling tenor saxophone cadenza, channel Indian sonorities or thread his way through a pointillist thicket of rhythmic subtleties. He can trade percussive volleys with [Christopher] Aliss (just watch how the pair transforms Soundgarden’s ‘Spoonman’) and dialogue with [Josh] Nelson in the intuitive way that pianist Bill Evans could with bassist Scott LaFaro. “Fun and rocking. 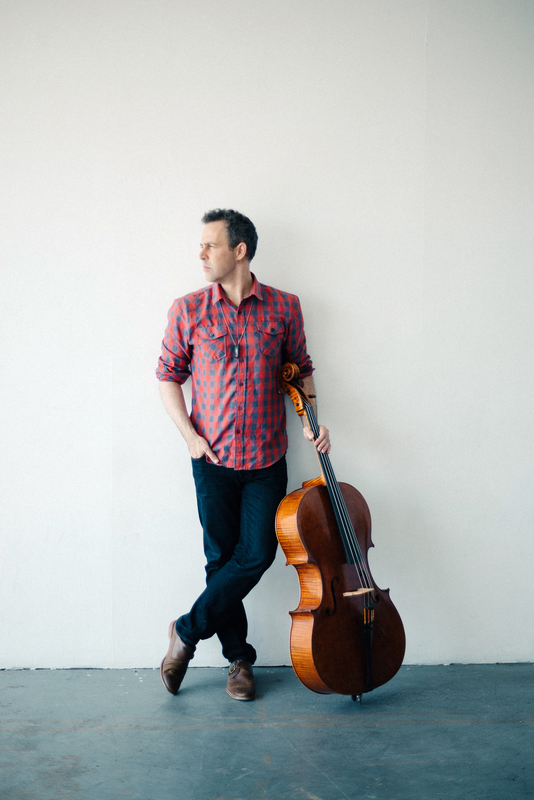 Nelson is his usual tasteful delight, doing keyboard work on the dreamy ‘Project 7’ and the chamber toned “Project 7.” Clever little bumps on ‘Corner Song’ and melodicisms on ‘300 Years’ make this an intimately swinging delight.